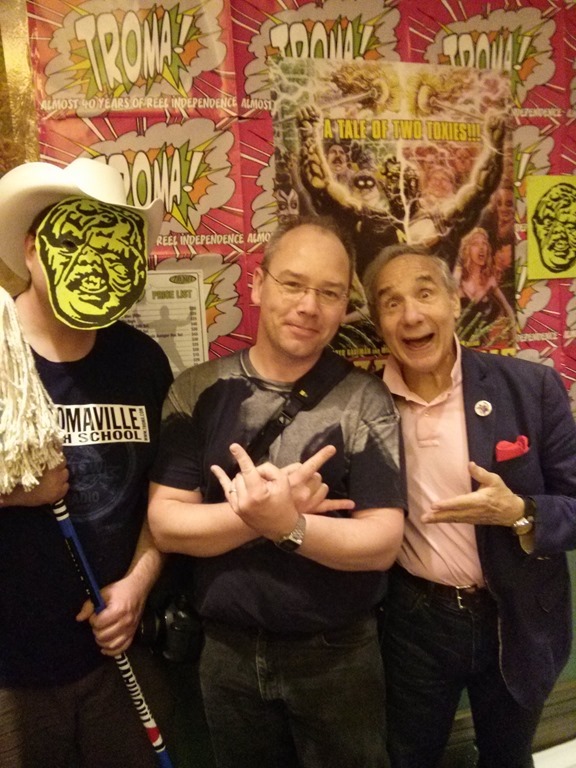 Okay, barely a review and much more a gushing over Lloyd Kaufman and Troma… and the Calgary Horror Convention. Actually had a chance to watch this Troma film in a theatre and with the added bonus of being in the presence of the great Lloyd Kaufman, Co-creator of Troma films and the legendary Toxic Avenger. Lloyd was great, the film was fun and I just ramble on and on and on. There is some bonus clips from the question and answer with Lloyd Kaufman at the end of the video. Hope you all enjoy! Keep your eyes on the site!!! 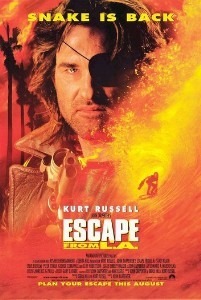 Escape From LA is the 1996 unnecessary sequel to the classic 1981 action film, Escape from New York. In Escape From New York, Snake Plissken (played by Kurt Russell), is enlisted to rescue the President, who’s plane has crashed in New York. New York, once a bustling metropolis, has been turned into a giant prison without guards, and run by different factions of criminals. Plissken goes in, and against all odds, rescues the President. In the 1996 sequel, Snake is back (and still being played by Kurt Russell). This time he is expected to retrieve a control for a space based nuclear weapons platform that was stolen by the new, President for Life’s daughter in an act of defiance, and brought to LA, now also a prison, separated from the rest of the continental United States by an earthquake, and given to Cuervo Jones (Georges Corraface), an ex Peruvian Shining Path rebel, and leader of the most powerful faction of criminals in L.A. Snake originally turns down the job… that is until he finds out he has no real choice in the matter, and only has about a day to complete the task…or else. Once in L.A., Plissken goes about the task of locating the President’s daughter and Cuervo. At first it seems like he may get some help from "Map to the Stars" Eddie (Steve Buscemi), but maybe…. just maybe Eddie has his own plans. Anyway, Plissken gets captured, gets loose, gets into some fights (with and without weapons), and of course, gets the job done. But with almost all movies, things just aren’t that simple. Who is the true bad guy? This is a silly, parody o the original Escape From New York. 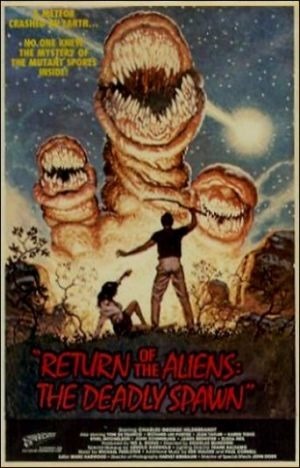 I could see some true fans of the original possibly hating this movie, but if you watch it with the mindset similar to mine, where you were looking for some silly action entertainment, then you might like it. Just don’t go in expecting a serious, action movie and you should be okay. Godzilla Week Movie 3 – Godzilla Vs. Hedorah (1971) – Godzilla Takes Out The Trash!!! 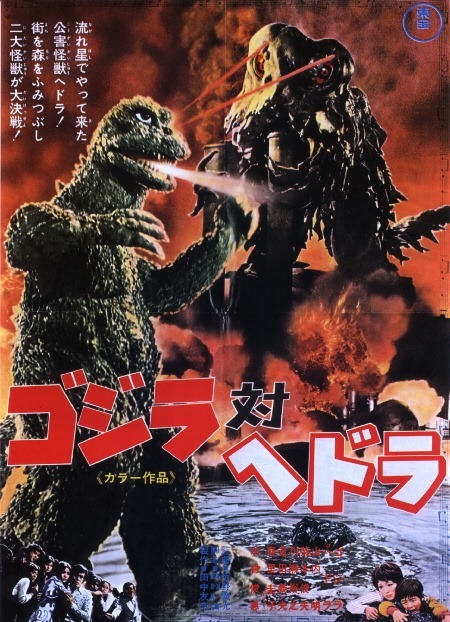 Most people in North America would know this movie as Godzilla Versus the Smog Monster, though it’s original release title is Godzilla Versus Hedorah. That said, they are both the same movie. In 1971’s Godzilla Vs. Hedorah , Japan has a new enemy: a new creature that has evolved to live on the pollutants of our modern society. Not only that, but it is producing deadly pollution itself, incapacitating and humans that may get close. This is a disaster!!! Oh, and guess what? Godzilla doesn’t like to see other monsters on it’s own turf. Yeah, Godzilla and Hedorah are heading for a showdown. I pity the Japanese that get caught in the middle! Godzilla Vs Hedorah is actually one of my favourite Godzilla movies, and I really like the three stage design of the Hedorah – pretty cool, and add a neat, cheezy transition effect between the stages and you’ve got gold. Add to that the hippiness of the movie – lots of trippy music and psychedelic gels, and some trippy animated series really reminds you of when this movie was made – and that in my opinion is a very good and neat thing. Without a doubt, I would say that this is the most unique Godzilla movie that I have watched (so far, at least). Should you watch it? 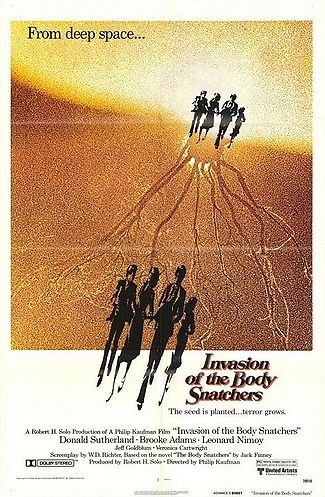 You should watch ALL Godzilla movies (with the exception of the Mathew Broderick version), but you should especially watch this Godzilla movie.